I have been meaning to write about this truly visionary piece of work all year, but what with one thing and another have never found the time. As the album became a year old on 1st December, it is now or never, a gap in the space-time continuum has to be found! 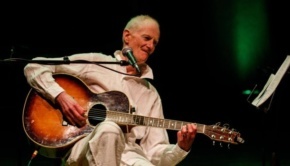 Peter Hammill is a man who over the course of career spanning almost 50 years has always ploughed his own furrow, be it with his band Van der Graaf Generator or as a solo artist. He has never paid any attention to convention or populism, and it is fitting that he would release probably his most complete artistic statement for many a moon in December 2014, as the twelfth month is a graveyard for album releases, arriving as it does too late for all those end of year “Best Of” lists, although it did just make mine at the very last minute after a cursory listen. Consequently, reviews start to appear in January when no-one has any spare cash to buy such frivolities as albums anyway. As a result of all that before, it is likely, loyal fans apart, that …all that might have been… was criminally ignored and I would guess that some of you reading this will not be aware of its existence. Darkly ambient and eerily minimalistic, it swirls around like a dank urban autumnal mist, reflections coming and going in the diffused orange glow. 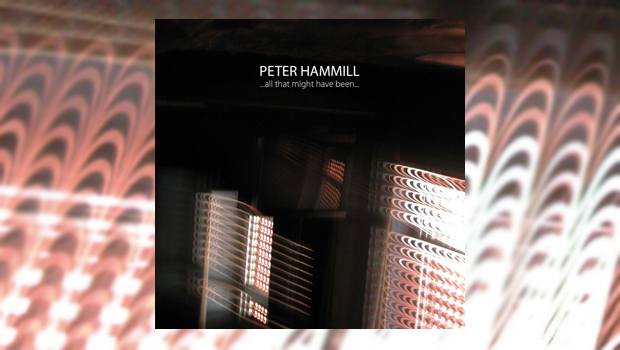 The slow, stately progress of opener In overview sets the tone showing us that Hammill’s voice has lost none of its evocative nature, with considered maturity replacing the primal scream of the younger man. As is indicated by the title, the CINÉ is an imaginary soundtrack, Hammill’s unfolding lyric loosely following a narrative, telling a tale of alienation, shattered romantic idealism, hints of something gone badly awry, and a mess of personal confusion. “Now the darkness comes, and that’s the only thing he’ll get for free”, but nothing is as it seems. As “inklings, darling, dark inklings are arcing through the links between the lines”, a line that can be taken both literally and metaphorically, as is always the case with Hammill’s lyrics. The Thin Man has lost none of his knack for insightful prose, lyrics that are clever without being the slightest bit pretentious or knowing. 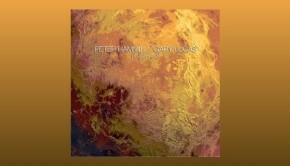 The music is a murky mix of sonorous bass, treated guitars, sparing use of electronica, and Hammill’s multi-tracked voice, with the lone appearance of drum rhythm adding a weary propulsion to Be careful; or, as Hammill puts it the music derives from “Crushed Beats, Guitars, Synths”. The sonics are immaculate and work well at any volume level you might desire. A menacing fuzzed guitar line guides our mentally scarred hero’s rite of passage through anger, lashing out at his own despair. On the run from the constant and somewhat menacing background presence of the female half of the equation, he gets himself into a scrape in the seedy area of town, with no regard for his own safety, deliberately putting himself in the firing line as a form of self-punishment. Washed up, “whistling in the dark to keep his spirits up, he hadn’t thought the whole thing through”, but does our hero eventually find redemption, escape in the company of his demons, or end up in pieces? That’s for me to know and you, dear reader, to find out. This album is a musical equivalent of the best Scandi-drama and similarly bleakly evocative. 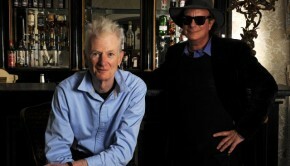 the CINÉ is a fabulous piece of work and shows that even now, well into the latter half of his seventh decade, Peter Hammill is still at the top of his game. Once the best lyricist from what became known as the first wave of prog rock, Hammill now has no competition among his contemporaries in that field, and remains a consummate story teller through song. 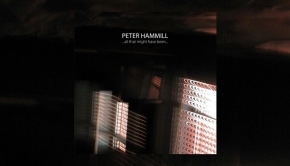 the SONGS CD is a thrilling work as a stand-alone statement, and evidence of Hammill’s artistic generosity of spirit, included here as it is, somewhat “after the fact”. Those in thrall to Peter’s later solo works will find it more than lives up to expected high standards. As an album it is a different experience from the CINÉ, being in a more traditional format. It is however neither better nor worse than the CINÉ, merely another music in a different kitchen, and in any other circumstance would be worthy of a review in its own right. The third CD is entitled the RETRO, and is “a reconstruction of the work-in-progress” that became the CINÉ. Mostly vocal-free, it contains some parts that did not make the previous two main discs. As what is in effect a “bonus disc”, it ain’t too shabby at all! The vast majority of musicians have written their best work by the age of 30, as by that age the initial rush of energy that fires the muse is spent. While this might well apply in Hammill’s case at least where his band are concerned, it seems that since recovering from a heart attack suffered in December 2003 The Thin Man has found a new lease of life and applied it to his solo work. Since then he has released four albums of great variety, ranging from the long-form song suite Incoherence, admittedly mostly written before the health setback, to Consequences, an album musing on misinterpretation and of course that Hammill perennial, the passing of time. That, as well as collaborating with Magic Band guitarist Gary Lucas on the highly entertaining and psychedelic Other World, released at the beginning of 2014. This burst of activity sees his muse gasping for breath but showing no signs of losing energy or focus, for it culminates in …all that might have been… which easily stands comparison with the best of his 1970s work in terms of artistic accomplishment. I believe you can buy either the CINÉ or the SONGS discs as separate albums, but you should do yourself a favour and get the 3-CD box set I have lamely attempted to do justice to here, as it is as near as you will get to a work of art this side of a Scott Walker album.